Shcrade MAGIC Assisted Opening Large Drop Point Knife Black | BUDK.com - Knives & Swords At The Lowest Prices! 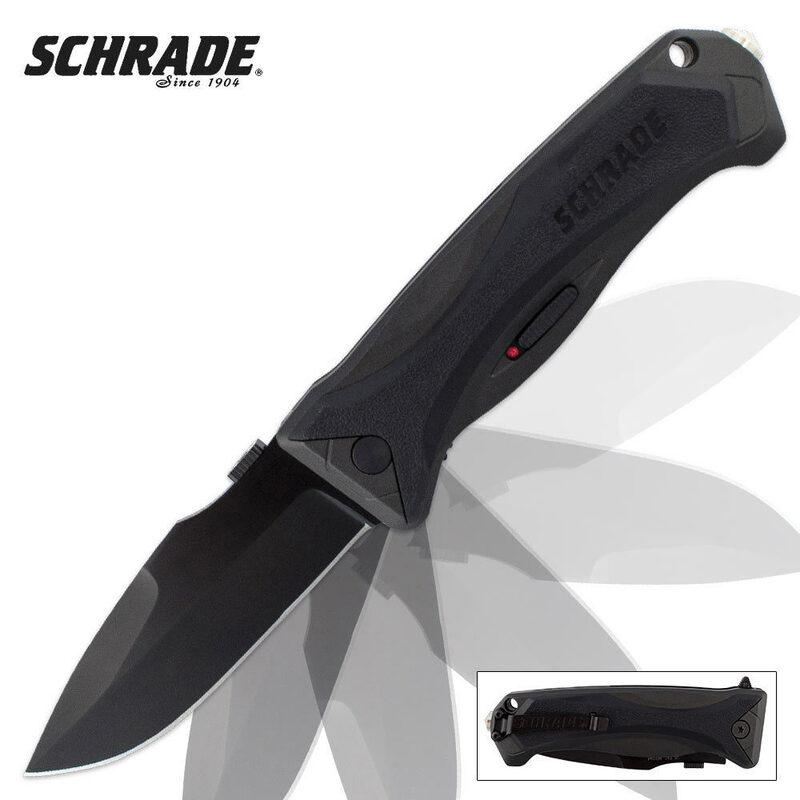 Schrade's MAGIC assisted-opening blade technology is among the fastest available, and this black drop point folding pocket knife puts it to great use. The black coated hollow ground stainless steel blade features a thumb plate and finger actuator for fast one-handed opening. Other features include a liner lock, safety lock, glass breaker and pocket clip, making this folding pocket knife great for everyday use.